Maggie Reese had plenty of interests growing up, but shooting just wasn’t one of them. Her dad, a recreational match shooter, had been asking Maggie for years to go to the range just once and give it a try. Maggie finally agreed, right around the time she was 18. One big-time match led to the next one. Somewhere along the line Maggie became one of the top female competitive shooters in the country. 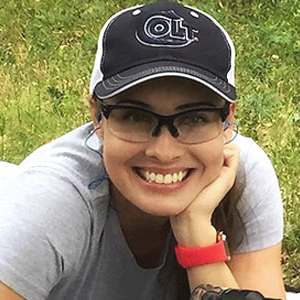 There are a wide variety of shooting sports, and Maggie has made a point to try as many as possible and not specialize in one particular discipline. Maggie has also seen the participation of women rise in the years since finally accepting her Dad’s invitation to go to the range. “I would have to say the First Strike HiRise. There are so many applications for it. You can put it on a pistol, shotgun or rifle. You can use it hunting or target shooting and hit anything 50 yards and in. I put it on everything.